Professor Mark Parsons is regarded as one of Australia’s leading clinical stroke and brain imaging researchers. In 2003, he began leading the stroke imaging research group within the HMRI Stroke Research Group and established a laboratory at John Hunter Hospital. Using magnetic resonance (MRI) and CT imaging techniques, Professor Parsons’ brain imaging research is already being adopted in clinical practice to improve the selection of patients for acute stroke therapies involving clot-dissolving treatments which can reduce a stroke patient’s level of disability and lead to a quicker recovery when administered immediately after a stroke. 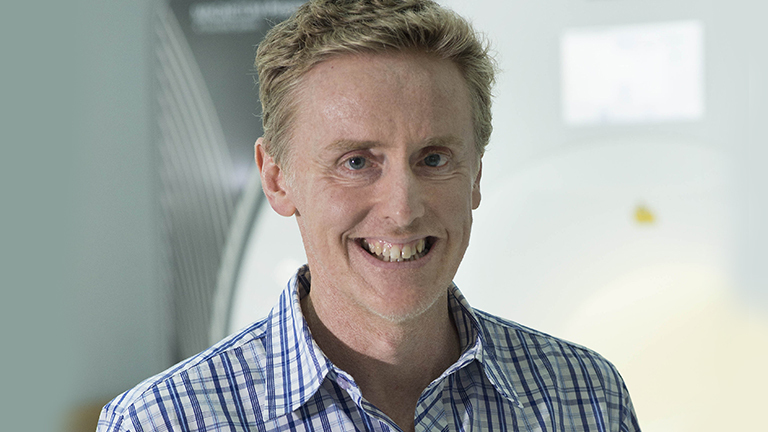 Professor Parsons’ PhD thesis detailed the use of modern MRI techniques in acute stroke, from which he published several scientific papers in high-impact international journals. He had particular interests in the effects of certain drugs in breaking up the blood clots that cause stroke and in salvaging brain tissue from sections that are not damaged permanently by stroke, known as the ischaemic penumbra. Professor Parsons has also demonstrated the ability to translate fundamental research in the laboratory and clinic into solutions with a direct practical application in clinical practice. He has experience in the re-design and evaluation of health systems, often a critical step in the implementation of complex therapies such as stroke clot-busting drugs. Professor Parsons led the development of an ambulance protocol in the Hunter Region for the rapid identification, pre-hospital notification, and rapid transport of potential patients suitable for clot-busting drugs to a specialist stroke centre. This means that thanks to Professor Parsons’ groundbreaking research, a specialist neurologist will likely be waiting at the hospital when an ambulance arrives with a stroke patient on board, armed with the knowledge of what type of stroke they have suffered and how to treat it immediately and effectively. In 2012, Professor Parsons and his colleagues found that a clot-busting medication called called Tenecteplase was superior to the standard therapy for stroke, Alteplase. He has led clinical trials in this area with very promising results and is now coordinating an internationally trial of tenecteplase for the treatment of stroke at over 50 centres worldwide. Professor Parsons’ research interests also include the adverse effects of diabetes on stroke outcomes and neurological rehabilitation and recovery. His findings linking high blood sugar and adverse stroke outcomes have had major implications for research in this field and potentially, clinical guidelines in the future. Professor Mark Parsons is the current President of the Stroke Society of Australasia, the Director of the Acute Stroke Unit at the John Hunter Hospital and an Honorary Neurologist at the Royal Melbourne Hospital. He has won many awards in his field including the HMRI Award for Excellence in Brain and Mental Health Research in 2004, the HMRI Award for Early Career Researcher in 2007 and the HMRI Director’s Award for Mid-Career Researcher in 2014.